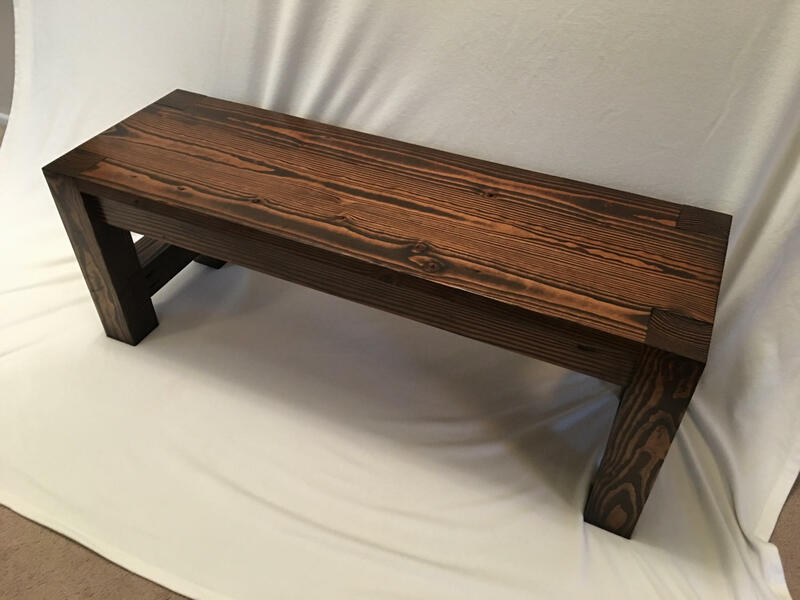 Handcrafted bench made to order. Perfect in the entryway, dining room or the foot of the bed. Made from sustainable Northwest lumber, this bench has contemporary good looks, yet will never go out of style. Built with extra-heavy lumber, it will last for generations. The bench pictured is the 48 inch option, 18 inches tall, and 15 inches deep. Also available in 66 and 84 inch lengths. Custom finish available. Shown in Minwax Espresso stain with Satin Finish.